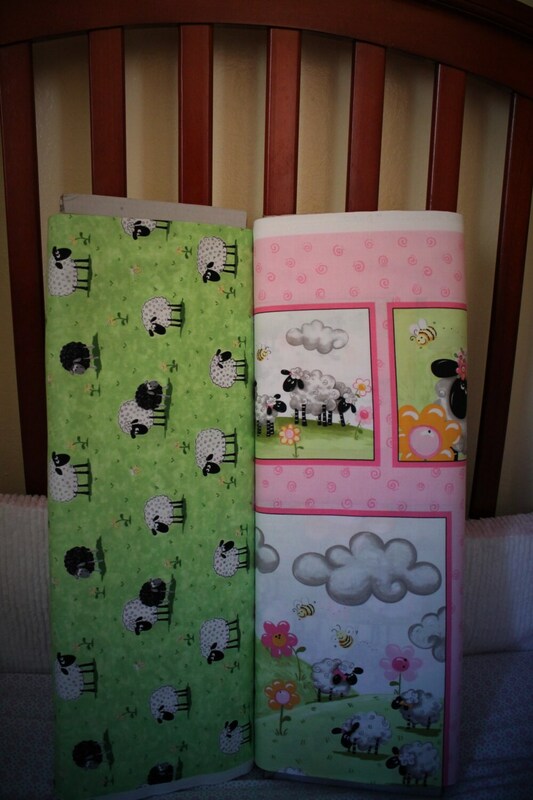 Children's fabric from Suzy Bee is another fun piece of fabric from Lal the Lamb fabric line by Susybee. A fun pink with multi pastel colors show casing fluffy white lambs playing the soft kiwi green meadow. Add this Children's Cotton panel to the other coordinating pieces of children's fabric from this line and you will have a great baby gift in only a matter of a few hours. Who wouldn't want a great baby quilt created from this fun and whimsical line of fabric. All fabric from The Quilted Nursery Children's Fabric Store is cut directly from the bolt and is sold by the yard. If you require special yardage please contact The Quilted Nursery Fabric Store and we will be happy to assist you. The Quilted Nursery has SAME DAY SHIPPING and always passing our savings on to you! Very nice fabric. I love it. I recommend this seller. Love it! Lamb is a family name. I would like one for a boy. This is another adorable panel. It makes me smile to look at it.